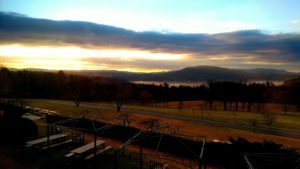 A couple of weekends ago I drove to Massachusetts to the Kripalu Center to further my training with Master Robert Peng. Robert is a one of a kind personality: a mixture of power, humility, compassion and wisdom , which I am honored to study with for Qigong, healing and personal spiritual growth and understanding. For anyone that may not be familiar with his teachings he may be found at robertpeng.com . The weekend was magical for me not only because I was able to reconnect with Robert and his wife Dong Mei, I was also able to reconnect with what I call my QiGong Soul Family. A little over three years ago I attended a 2 week QiGong Healer training with Robert and connected with three very lovely people who have become family. We are not geographically close, yet the bonds formed during those two weeks are stronger than they ever have been. It was wonderful to be in the same place with such lovely people. I don’t know if it was being around people I enjoy, if it was that I was in an atmosphere that I could do the practice with outside worries, if I finally allowed myself to just be completely in the moment, if the Universe (Holy Spirit) decided I was ready. I really, really don’t know. I guess I have thought about the circumstances just as much as the experience itself. I wondered aloud if I could somehow recreate circumstances if I could have another such experience. I have decided that to even try would diminish the experience itself, and if another such moment of clarity for me would occur, it would be based on the person I was in that particular present moment. The experience? I have only been able to find one word to explain: Satori. A moment of pure clarity, of pure understanding, of pure immersion into all that is. It is a point that the thread of one particular tapestry of my life became totally clear. I could see what was perceived at the time as a terrible blight, darkens, trial as an opportunity of understanding. I saw the same thread fold in and out of the experiences of my life giving support and also giving moments of choice. I could trace the thread all the way back to my 11th and 12th year of this life and I could see how it is not complete, how this particular thread has more weave, more to experience. I saw the hand of the Master Weaver gently holding the thread waiting and wanting compassionately for the sewing to be a joint effort. I came away from this experience with a sketch, one which I shared with Master Peng for insight and perhaps a little understanding. It is a sketch I have prayed and meditated with since my experience. Within the sketch is a horizon with a sun reflecting light beyond the horizon. I have come to understand the thread within the tapestry creating the definition of the horizon. Without the definition, without the experience then the light has nowhere to reflect, it has no depth of understanding, it has no way from this earthly perspective of being noticed. I find it interesting that the horizon I sketched was not an even one. It was thicker in some places than others and it has a rather noticeable dip, yet it was not broken. Surrounding the sphere of the universe meeting horizon and then meeting earth and sea were arms. The arms were surrounding and holding the sphere. Master Peng told me there were indeed my arms, which had merged with all that there is, allowing for clarity. Within that clarity, within the download of information and the fast replay of certain events of my life that created that horizon bringing me to that moment, was a love and comfort that is completely incomparable and indescribable. A blanket of protection and truth allowing the knowledge that we are truly never, ever alone. Within what we call God, what we call Spirit is completeness, a reason and a guidance driving us all onto everything we are capable of being and experiencing. The ‘dark’ and ‘ugly’ parts, when looked at within the whole picture of our existence are not for punishment, or trials, or for tests. They are not the times we have been abandoned, or need to learn what it is God wants us to know. 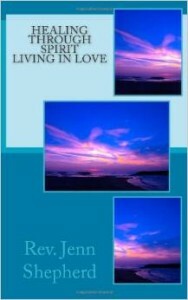 They are the experience of life and each one has within it the opportunity to experience variations of love, and acceptance; often times love and acceptance of self. I discovered how completely blessed I am. I discovered how even though there is a Master Weaver, we have the awesome gift, responsibility and challenge to co-create the tapestry that is our lives. There are supporting threads always there, the artwork, the amazing experience that is our own is always given choices of colors, patterns and texture. We decide how much to let others see, we decide how much to share the experience, and we may even decide which threads of other’s experience to weave into our own. Grateful for my QiGong Soul family for allowing parts of their own tapestry to weave into my own, I know it helped allow for such an experience, such a knowing. Also, incredibly grateful for the souls I recognized in the thread of the horizon I saw, giving my own light definition in a way it could not be otherwise. We never know sometimes how we affect each other. With each interaction, positive and negative, with each tiny little breath of experience another stitch is added. Each stitch surrounded by love, grace and understanding. Once you feel just a tiny piece of that it is impossible to ever be the same. It is impossible to deny that you are created from that surrounding love, to experience and know love. While contemplating on all of this two quotes came to the forefront for me and both by Elizabeth Gilbert.